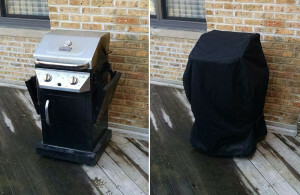 Chicago Marine Canvas is able to help you with other services beyond your marine canvas and upholstery needs. 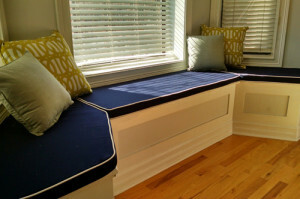 These projects range from household needs such as slip covers for patio furniture, gas grills or cushions for custom spaces such as bay windows. Please contact us with your request and we can give a fast and accurate estimate over the phone in most cases. Many Chicago residents enjoy their rooftop decks all summer but an unable to spend less time on them in the fall and winter months. We can help you with custom drop curtains and covers for your rooftop enclosure so you’ll be able to enjoy this valuable outdoor space all year long. We also work with our commercial customers on awnings and protective entrance enclosures for the winters months. Recovering existing framing is an easy and inexpensive option compared to new framing which requires permits and other extra expenses. 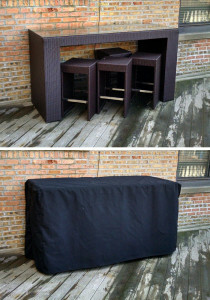 Chicago Marine Canvas can also help with your industrial sewing projects. We have a variety of new industrial Juki sewing machines that give a beautiful finished project. We welcome all inquires and no job is too small. All Contract Sewing and More!